Saturday March 9th, a brigade of University of Missouri undergraduates, graduate students, and faculty will be at the local high school planetarium to provide an afternoon of discovery and excitement open to the general public. Come by, bring your families, catch a movie, help paint “Little Lascaux”, see how your footprints compare to those of human ancestors and Tyrannosaurus, help excavate fossils, and learn how global climate change has impacted plants and animals during the Late Cretaceous and Late Pleistocene time periods. Support your local planetarium! Support your local paleontologists! Sixty five million years ago, an asteroid impact contributed to the extinction of the dinosaurs. Twenty thousand years ago, much of a cooling Earth was covered in ice. These are just two ways Earth’s surface has changed over the millennia. Columbia Public Schools’ Planetarium & the University of Missouri’s Department of Pathology and Anatomical Sciences and Department of Physical Anthropology are teaming up to show just how our changing planet effected life on its surface. · Watch Earth’s Wild Ride planetarium show and see a tour of the night sky. Earth’s Wild Ride is set on the surface of the Moon in the year 2081. A grandfather and his grandchildren watch a solar eclipse from scenic cliffs overlooking their moon colony. As they watch the Moon’s shadow move across Earth, the grandfather tells stories of crashing asteroids, roaring dinosaurs, frigid ice ages, erupting volcanoes, and more. A star tour will be give after each show. 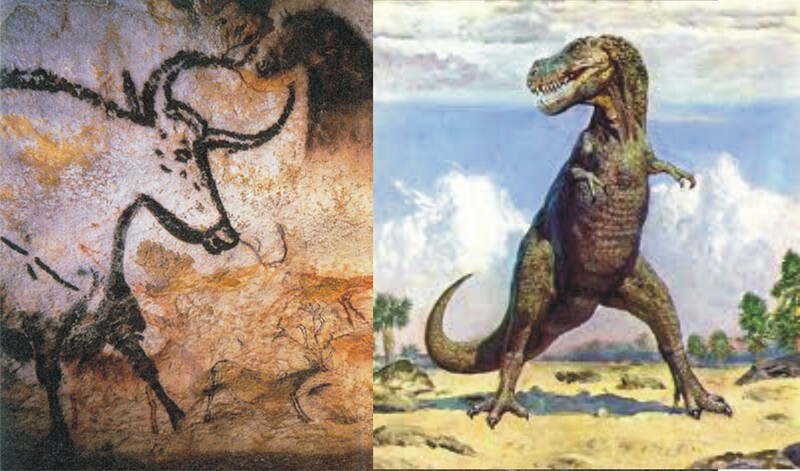 Learn about dinosaurs and cavemen and the different times in which they lived. See fossils and artifacts! Help paint a cave mural! Compare your footprints with those of dinosaurs! Admission to this event is free, but donations of $2 per person are welcomed.